"Preserving and Restoring Healthy Smiles Comfortably"
Our mission at Southwest Nebraska Dental Center is to serve our patients with the best quality dental care in a comfortable and friendly environment. We strive to understand our patients by listening to their needs, wants, and concerns. We are committed to helping our patients receive the value and personal enjoyment of the best in oral health. As your dental health professionals, we want you to be confident knowing that we are a team of highly trained and skilled clinicians. 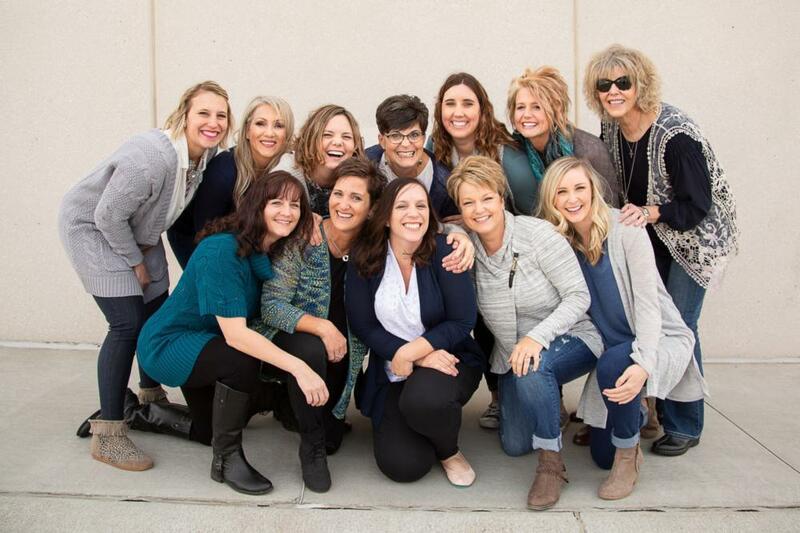 All of the dental hygienists, assistants, and office staff at Southwest Nebraska Dental Center are licensed professionally in their particular dental expertise. We pride ourselves in providing the care you need to keep your smile healthy. To give you the best possible service and results, we are committed to education and learning. Dr. Haag regularly attends many hours of continuing education and is committed to treating patients with the most advanced "state of the art" dental technology. Dr. Haag joined Southwest Nebraska Dental Center in 2011 and has since acquired full ownership, where she enjoys working with her wonderful team. She loves seeing patients of all ages and helping them achieve and maintain healthy teeth. Dr. Haag strives to be at the forefront of dental techniques by taking in-depth, hands-on continuing education courses. Dr. Haag, her husband Buck, and their daughters Grace and Caroline and son, Sterling live in Bartley, where Buck is involved in production agriculture . She also enjoys visiting her family, music, and traveling. Jeannie has been with the practice since 1985! In addition to her administrative skills, Jeannie also has training in dental x-rays and assisting with implants. Jeannie is a people person and loves helping patients understand their dental needs. Her interests include sewing and gardening. Ashley has been with SWNDC since 2014. 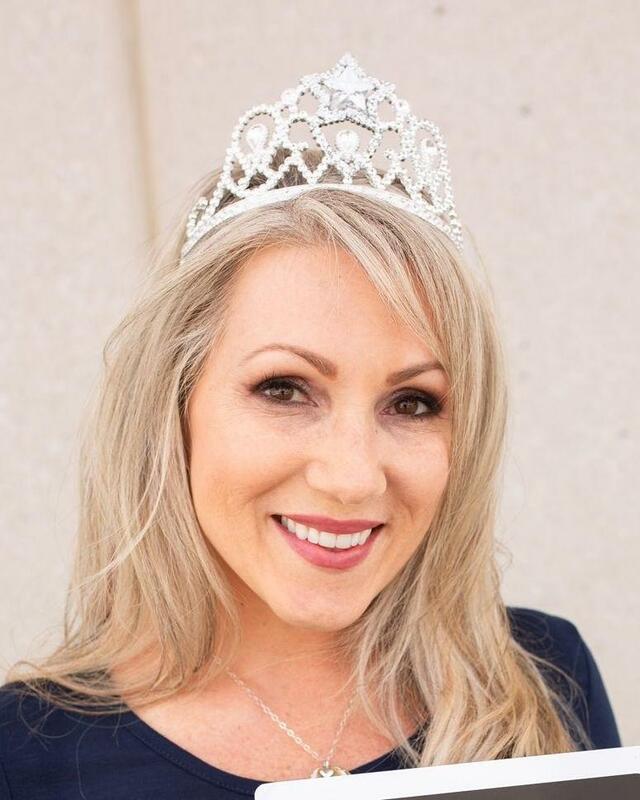 She is a certified dental assistant and has her certification in coronal polishing and dental xrays She values the relationships she has formed during her time with the practice. Outside of the office, she is busy with her children and their activities. Melissa has been with us at SWNDC since 2012. Her work here allows her the chance to not only see old friends, but also make new ones. If the weather is warm enough, you will probably find her with her husband and children at the lake. The family loves to fish, boat, and ride jet skis. Katie is our go to insurance guru and has been with us since 2015. She has a wealth of knowledge when it comes to dental insurance and is happy to help with any questions you may have. In addition to her insurance skills, she also has training in the field of veterinary technology. Katie lives in Bartley and has two children with whom she loves to spend time with. Mechele became part of SWNDC in 2012. 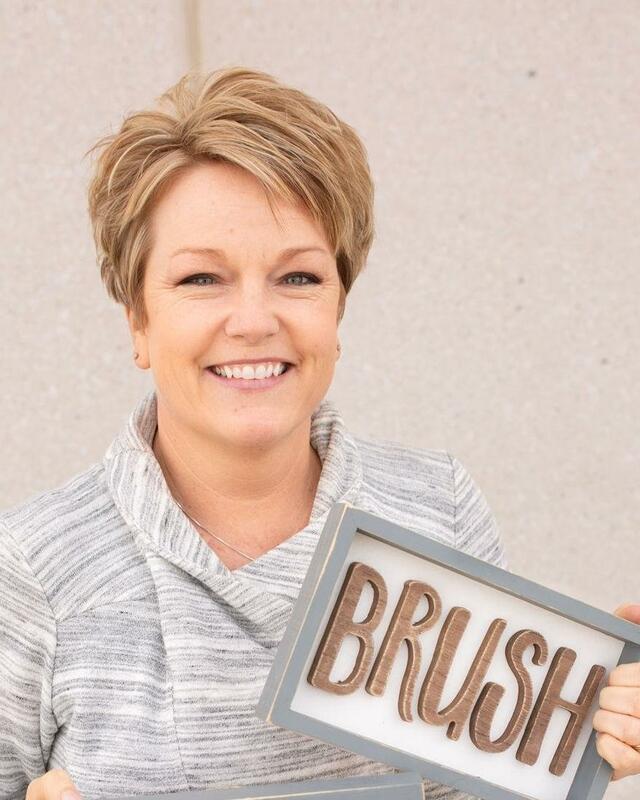 She completed the dental assisting program at Central Community College in Hastings in 1994, then went on to get an associate degree in dental hygiene from Colby Community College in 2005. She is also laser certified by the Academy of Laser Dentistry. Mechele understands what it feels like to be apprehensive about a dental visit, so she prides herself in making sure every patient has a great experience. She loves seeing children who are eager and excited about seeing the dentist, and she enjoys working with the amazing SWNDC staff. Mechele may be a grandmother, but she’s also a weightlifter! Mechele and her husband live in North Platte. After attending Central Community College in Hastings, Shelby returned to her hometown of McCook and joined our team as a dental hygienist in 2014. She has been making our patients smile ever since, especially children. She received her laser certification from the Academy of Laser Dentistry in 2018. Shelby is married and enjoys baking, crafting, and playing with her dog Avery and her son Greyson. Heather started at SWNDC in 2015 after finishing her hygiene degree at Colby Community College Dental Hygiene program. She enjoys seeing patients and loves having the opportunity to help them gain or maintain great oral health. She feels very fortunate to be in a field that can have such a positive impact on peoples lives! Heather loves to spend her spare time with her family, especially her sons Cohen and Hudson. She also enjoys playing volleyball, crafting, and traveling! 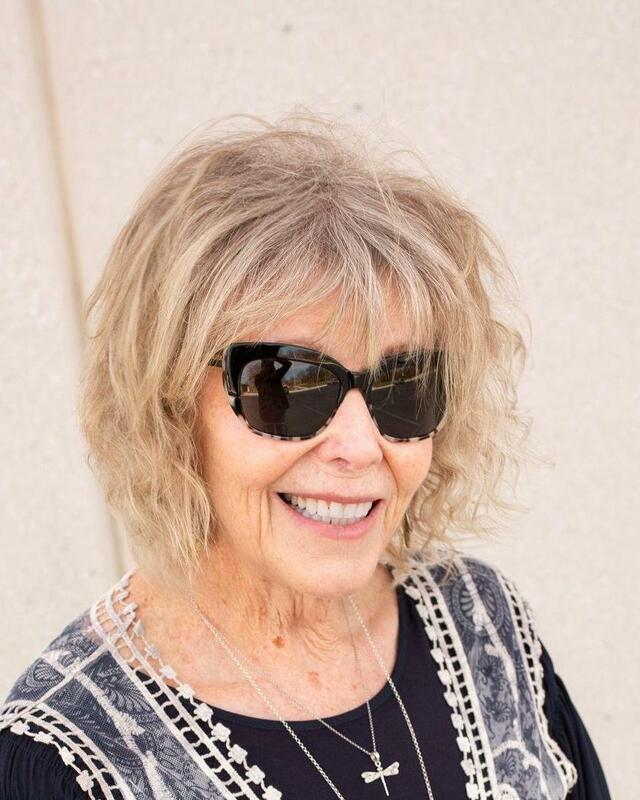 Gay has extensive experience in dental assisting and has been a proud member of the SWNDC team since 2006. Her training includes courses in CEREC dentistry and certifications in dental x-rays and coronal polishing. For Gay, dental assisting is more than just a job; she truly cares for the patients she treats and considers them an extension of her own family. Helping patients overcome fear and anxiety about dental appointments is her specialty. Gay loves spending time riding motorcycles. She is married with two daughters and a much loved dog. April became a member of our team four years ago. She received her x-ray certification from Nebraska Dental College in Lincoln, and her coronal polishing certification from Central Community College in Hastings. April’s favorite part of being a dental assistant is seeing patients who were once embarrassed about their teeth leave the office with a smile. She also loves being part of a team that is so successful at helping anxious patients overcome their fears of the dentist. April lives in McCook, where she also teaches fitness classes at the YMCA. Most importantly, she loves family time – especially with her son! Britni has been with SWNDC since 2011, after completing the Hastings CCC dental assisting program. She has been trained to assisting in conscious oral sedation since 2014. Britni's favorite part about her job is seeing patients smile after we have done cosmetic work for them and helping them overcome their fears of having dental treatment done. 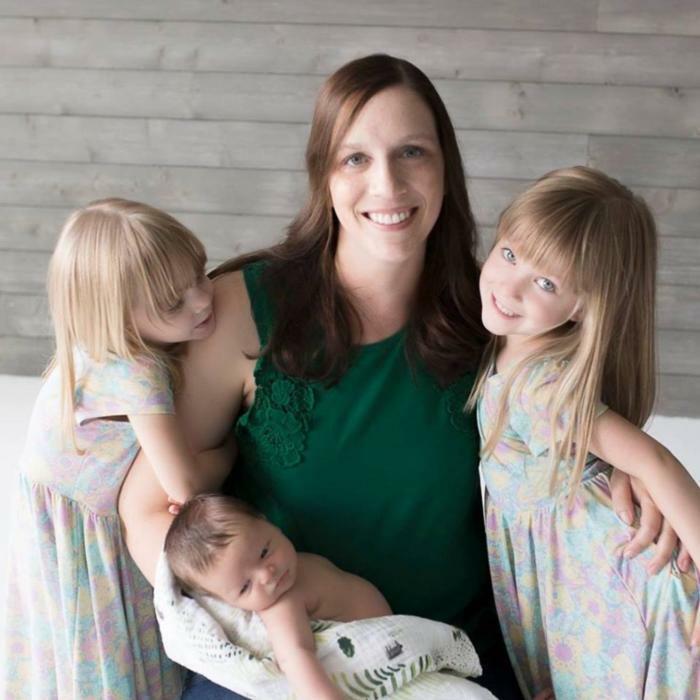 She enjoys spending her spare time with her husband and beautiful children! She also enjoys long distance running; her daughter and son are her biggest motivators! Shannon joined our team in 2017 and is an experienced dental assistant, starting in the field in 1995. She brings her knowledge and friendliness to our office! She lives in McCook with her husband and loves watching her two sons play sports!